I’m really excited for today’s post! My best friend Devon got married to her college sweetheart on May 5, 2012 and I had the pleasure of being her maid of honor. 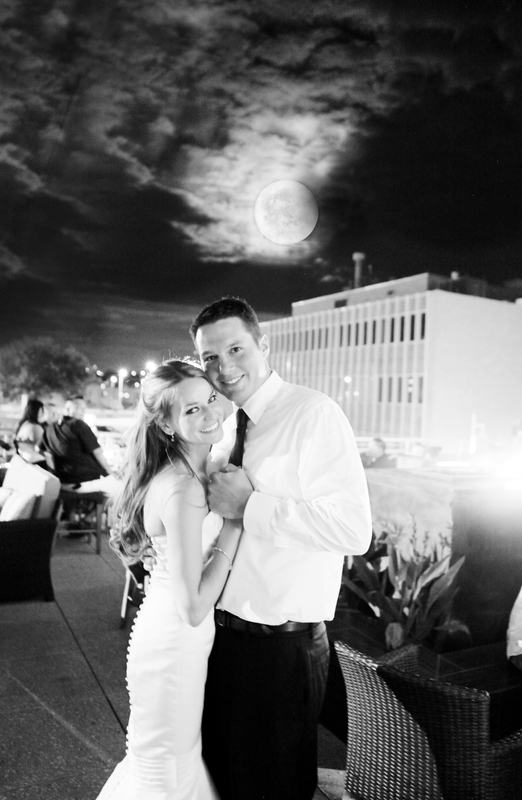 It was a wonderful wedding and Devon was truly the most breathtaking bride. She is a professional esthetician and makeup artist and owns her own spa, Broadway Skin & Body Retreat. She also writes the skincare and beauty blog, Broadway Beauty Blog. Devon did her own makeup for the wedding and did an amazing job. 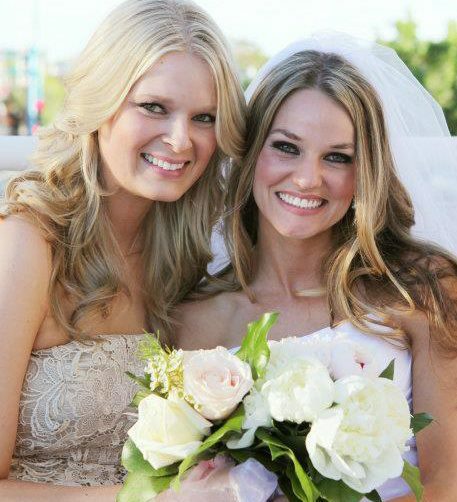 As an expert in skincare and beauty, I asked her to guest post today and share the makeup she used to look so stunning as well as some skincare tips and products for brides-to-be. Enjoy! 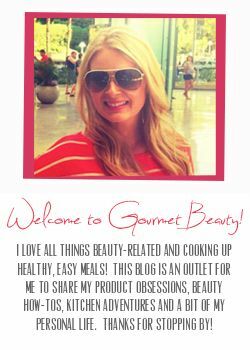 When Arantha asked me to be a guest blogger for Gourmet Beauty I was honored. Arantha and I have been best friends for many years and we always shared a passion and obsession with skincare and cosmetics products. Naturally, I elected Arantha to be my Maid of Honor when I became engaged last spring. I unofficially referred to her as the President of my wedding and I relied on her not only for her MOH duties but her ideas, opinions, and advice for my bridal make-up palette. I did my own makeup for the wedding and Arantha asked me to share the products I chose and some skincare tips for brides-to-be, so here you go! Image Ormedic Balancing Facial Cleanser: I am so in love with this cleanser. It is a foaming gel based facial cleanser that removes make-up and impurities without leaving a residue or over drying my skin. It is ideal for all skin types particularly sensitive and oily. 100% Pure Carrot Facial Scrub: Since I have very oily skin, I like to exfoliate everyday. Some exfoliants are too harsh to use that often, but that’s why I love the Nourishing Carrot Facial Scrub from 100% Pure. It is gentle enough to use daily without causing irritation and my skin always feels silky smooth after I use it. 100% Pure Organic Rose Hydrosol Facial Tonique: This natural aromatic mist instantly hydrates and soothes the skin. I love spritzing my face with this after a deep cleanse. Image Clear Cell Acne Masque: This is the best facial masque for oily/acneic skin I have every used. My skin literally looks improved after each application. I use this about three times a week to absorb excess oil and quickly eradicate blemishes. 100% Pure Super Fruits Night Balm: This luxurious balm is my nighttime treat. It is rich and creamy and gives me the hydration I need without clogging my pores. Image Solar Defense Universal Moisturizer SPF 30: The most effective way to preserve your skin and prevent damage is to protect it from the sun. That’s why I use this lightweight daily moisturizer with SPF from Image Skincare. You can read more details about the big day here! 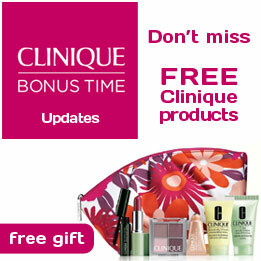 Stop by my blog any time for skincare and beauty tips! If you have any skincare questions I’d absolutely love to hear from you or come see me for a facial! Here’s how to contact me.